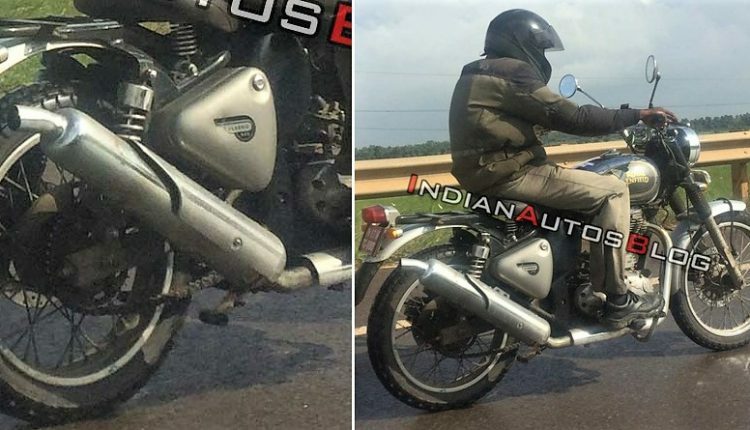 As per the latest details available, the 500cc Royal Enfield Scrambler will officially launch in India in March 2019. 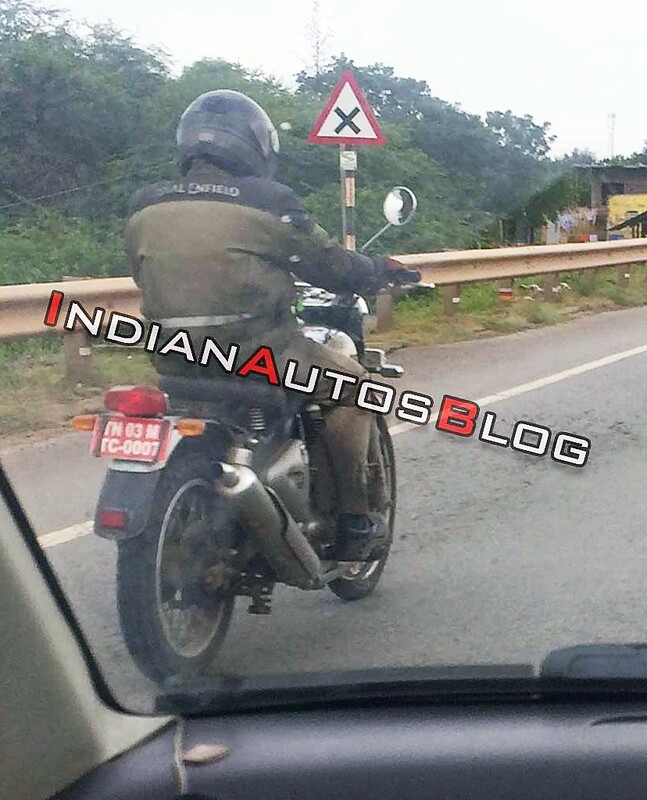 A few days back, the bike was spotted testing with a red number plate in Tamil Nadu. The motorcycle was earlier seen testing with most parts hidden under the covers. 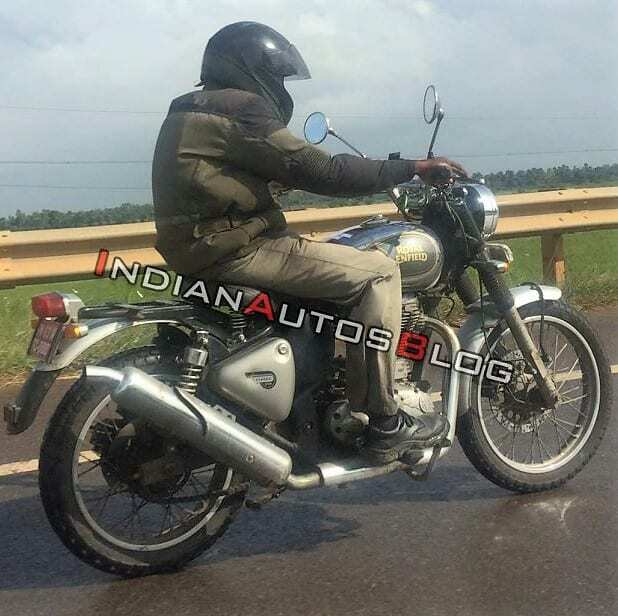 The first images in action clear the fact that ground clearance is improved considerably in comparison to a standard 500cc RE. The handlebar position also seems highly rider-friendly with wide grips and a raised bar. The tyres at both ends are dual purpose units with a decent amount of width and 19-inch steel spoke rims. 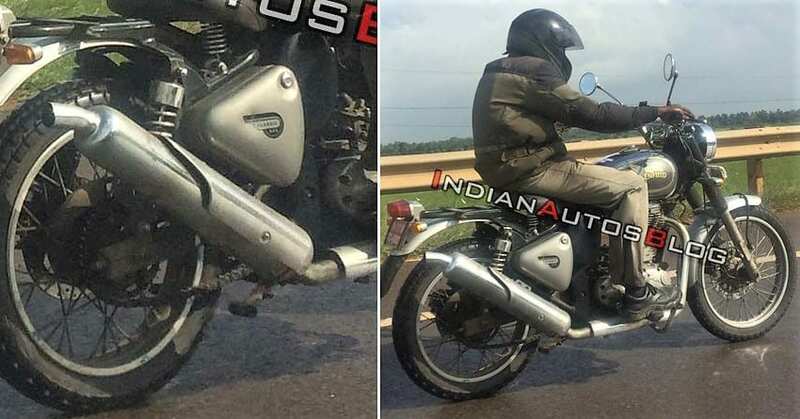 The rear section is seen with a raised exhaust, more or less similar to the stock unit in design but placed much higher for safe all-terrain riding. Riders using Classic 500 or Bullet 500 have already climbed record heights with a stock ground clearance of 135mm and imagining Classic 500 Scrambler going further heights won’t be wrong at all. The successful platform that underpins the 350cc and 500cc models can bring better sales for the brand through the Scrambler variant than the Himalayan. The rear luggage holder may support the pillion seat hooks for easy seat mounting. The parts seen here may get modifications based on the requirements for the production-spec model. The engine clearly shows EFI badging, pointing at the 499cc, fuel injected motor that is good for 41.3 Nm of torque. The engine comes mated to a 5-speed gearbox. Royal Enfield is expected to bring the Scrambler variant official with a price difference of INR 5,000-10,000 from the regular model.